Interleavers are typically used to distribute burst of errors, so they appear as simple random errors. Alternatively, if interleaving patterns are kept secure, then these patterns can be introduced as a physical (PHY) layer security device. 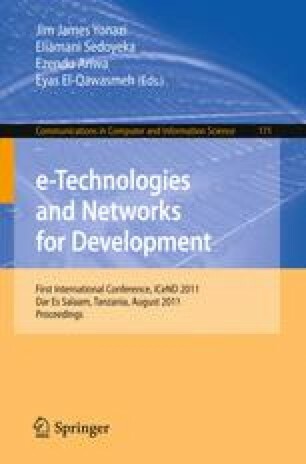 In this paper, an efficient technique to introduce security at physical (PHY) layer is proposed to enhance the security of 802.11i, which is designed to improve the security at medium access control. Since it does not emphasize on availability therefore several denial of service (DoS) attacks are possible. The DoS attacks are easy to mount because management and control frames are unprotected and so are MAC headers. This paper proposes a secure seed based random interleaving technique to scramble the OFDM constellation symbols to encrypt data transmission to resist these malicious attacks. In order to analyze the suitability of proposed technique as PHY layer security device keysensitivity analysis is carried out. The scrambling is completely reversible with the use of appropriate key. However, use of a wrong initial condition even at 4th decimal point produces entirely different sequence resulting in erroneous constellations with equal probability. To analyze the effectiveness of proposed technique various security attacks are analyzed in detail.